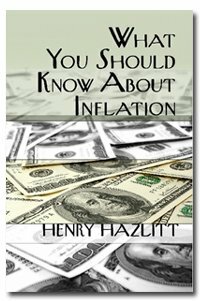 The book's title "What You Should Know About Inflation" only hints at the extent of the issues that Hazlitt addresses. He presents the Austrian theory of money in the clearest possible terms, and contrasts it with the fallacies of government management. He takes on not only the Keynesians but also the monetarists, as well as anyone who believes that government debt accumulation and manipulation of interest rates are harmless. The Treaty establishing the EU has given the Eurosystem the mandate to maintain price stability. This is a book on the importance of price stability, how it can be best achieved and how price stability supports sustainable economic growth in the EU. Argues that monetary policy should be expanded to consider employment creation along with inflation control where unemployment and underemployment are a cause for concern. Discusses a range of policy options that can be used to pursue this goal. The current crisis in economics compels certain of its basic assumptions to be reexamined. The focus of this book is the central assumption of the orthodox theory that prices and wages are determined by the law of demand and supply.